Animal Jeans come in 3 styles, Animal, Leopard and Snake. Includes sculpted cuff, textures and map. Low cut, unisex, suitable for men and women. 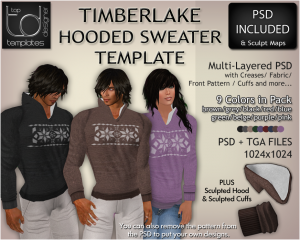 TGA, PNG, ready to wear, multilayered PSD. 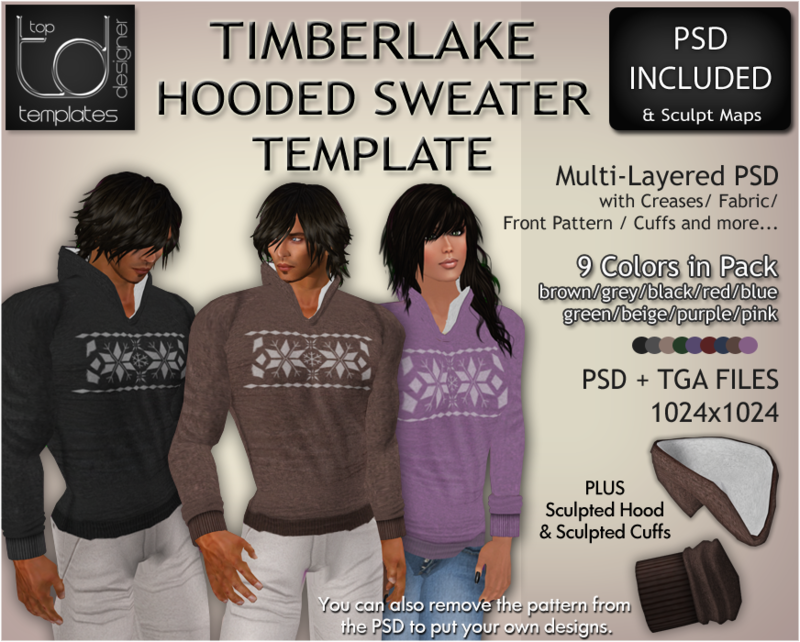 Create your own Wide Neck Sweaters to add to your clothing line. TGA/PNG + Multi-Layered PSD. PS & GIMP Compatible. 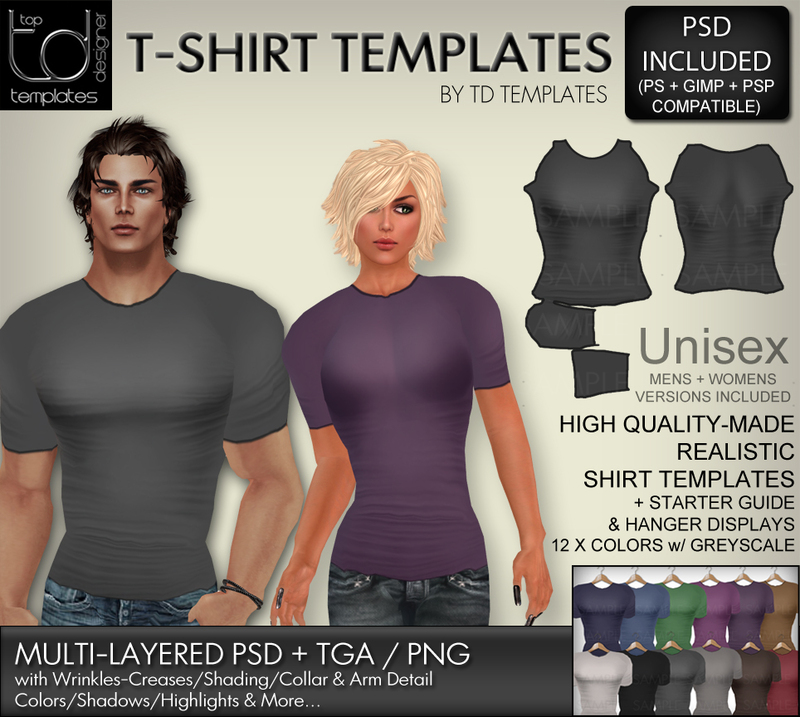 Includes 2 Sculpties – Sculpted Neck Prim + Cuffs. 12 Colors. 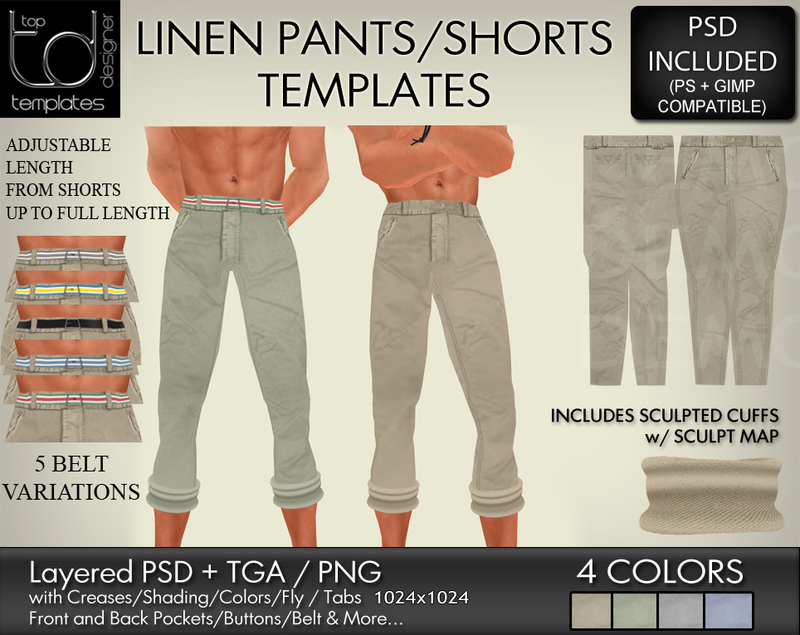 Create your own Dirty Wash Jeans to add to your clothing line with these high quality full perm templates. Unisex. TGA/PNG & Multi-Layered PSD. 4 Variations – Dirty & Ripped/Ripped Only/Dirty Only and Plain (No Fx). Plus! 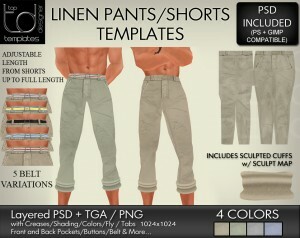 Includes 2 Sculpted Jeans Cuffs with Fabrics / Sculpt Maps & Shadow Maps – Loose & Roll-Up Jeans Cuffs. 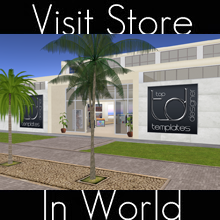 The essential kit for creating stylish looking jeans in SL. 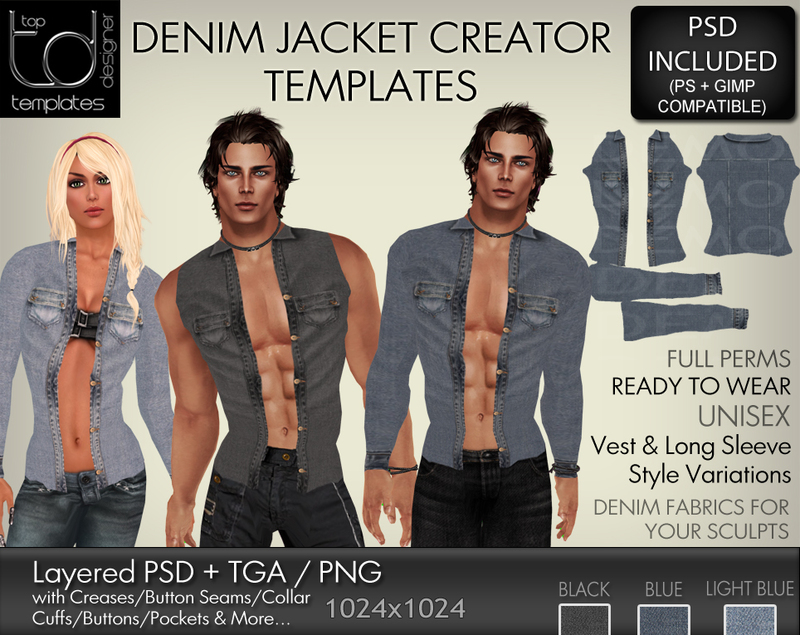 Includes TGA/PNG & a multi-layered PSD packed full with lots of different jeans elements. 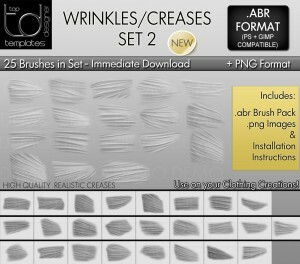 The jeans creator kit also comes with high quality textured sculpted cuffs for added realism. Choose from a selection of different styles: High Rise / Low Rise Versions + Normal / Ripped Variations. Unisex – For both Men and Women. Plus sculpted jeans cuffs with sculpt map and fabrics. Here’s a great new kit for those who wish to start making their own jeans. Add your own designs to them or sell them as it. 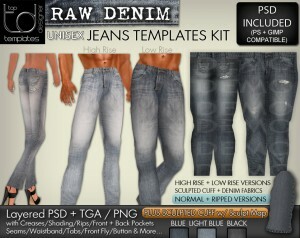 The package includes sample jeans in 3 denim shades, TGA and PNG files. Fabric samples and instructions. PSD is easy to use, can be used easily in photoshop, paintshop pro and GIMP! Easy to add your own texture by adding just one layer! So simple to use.